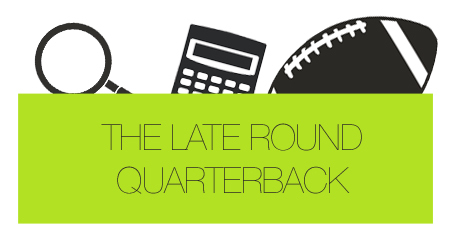 The Late Round Quarterback staff put together their composite rankings for the 2013 season. The following rankings are based on standard scoring in redraft leagues, where each rushing and receiving touchdown is worth six points and passing touchdowns are worth 4 points. One point is rewarded for every 10 rushing and receiving yards and 25 passing yards. For the final installment of our rankings, we decided to discuss all of our rankings during a Google+ Hangout (below).